Slurry Pump pump casing/frame plate halves of cast or ductile iron with external reinforcing ribs provide highoperating pressure capabilities and an extra measure of safety. Cover Plate is the suction end of slurry pump head part. 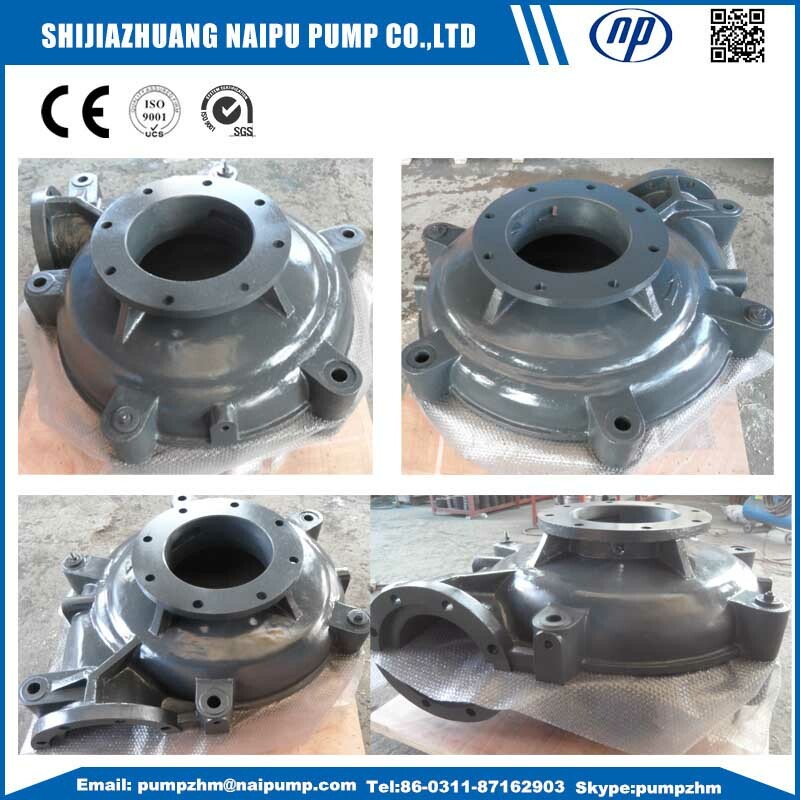 It's the outer shell of the radial subdivision, and combined with Frame plate together make up to the whole pump body.Pump cover is under pressure of pump cavity, and at the same time bear the force of pipeline.So Cover plate has more higher request for strength.Normally the material of slurry pumps cover plate below 8/6 size is G02 (Gary Iron Casting),but for pump bigger size over 8/6 is D21(Ductile Iron Casting) to bear higher pressure .For all the series-connected pumps,we must choose the D21 material. Frame plate casing is another important part of split casing slurry pump.It connect with Frame plate liner insert and beside with the Pump Bearing Bearing housing assembly.Same as the cover plate,Frame plate also handle the pressure of pump cavity.The working pressure of slurry pump in series is decided by the loading capability of cover plate and frame plate.so choosing the right material of slurry pumps frame plate is very important. 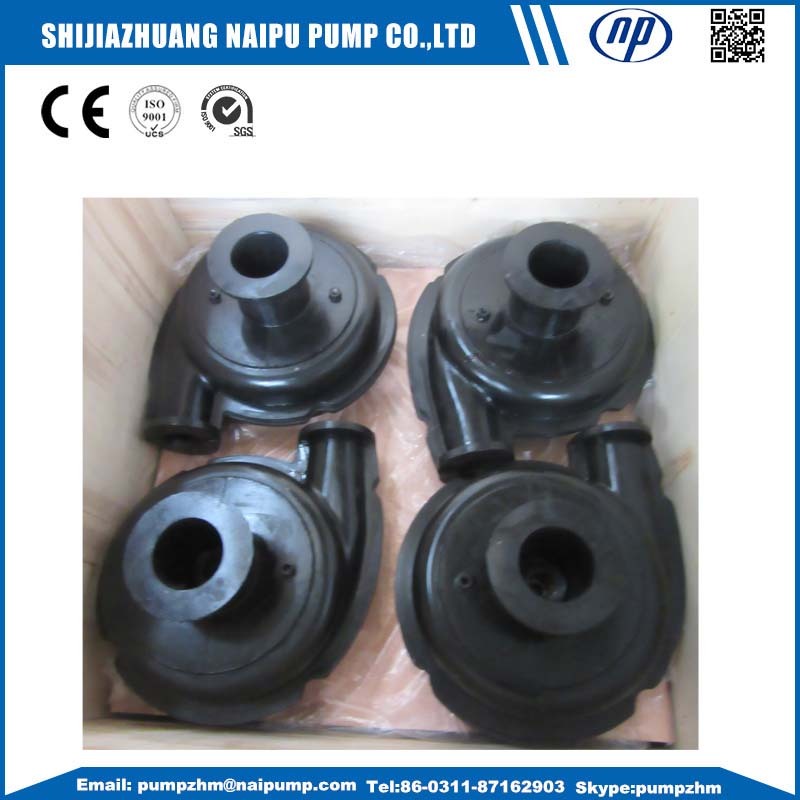 Naipu provide Gary Iron Casting and D21(Ductile Iron Casting)and D20(another Ductile Iron Casting) to meet your verity of application.The correct material choosing is the insurance of replace mining slurry pumps function absolutely. 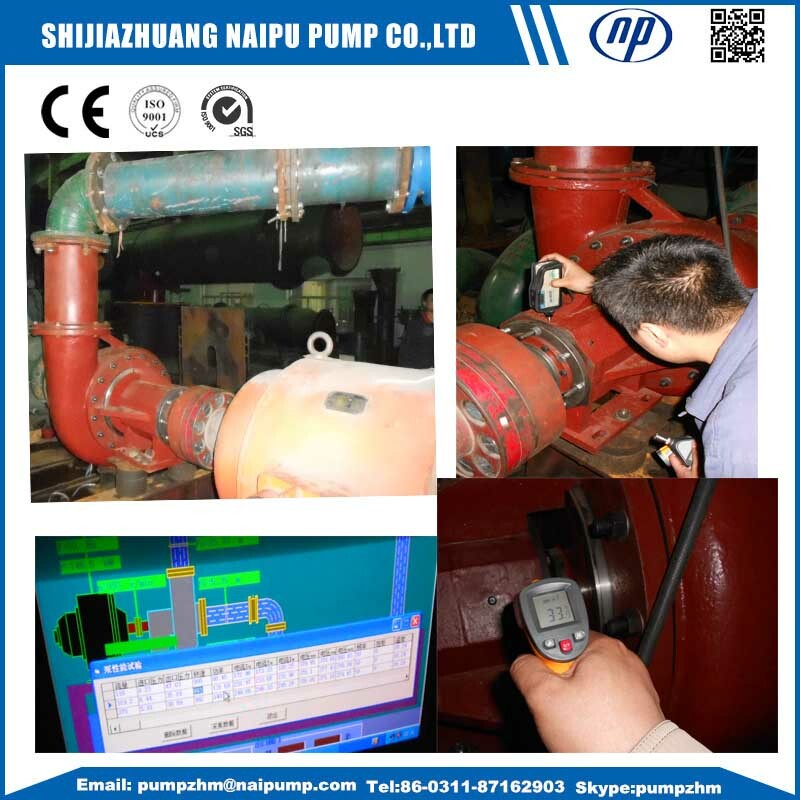 meet their special pumping application condition. the basic part No. : 032. 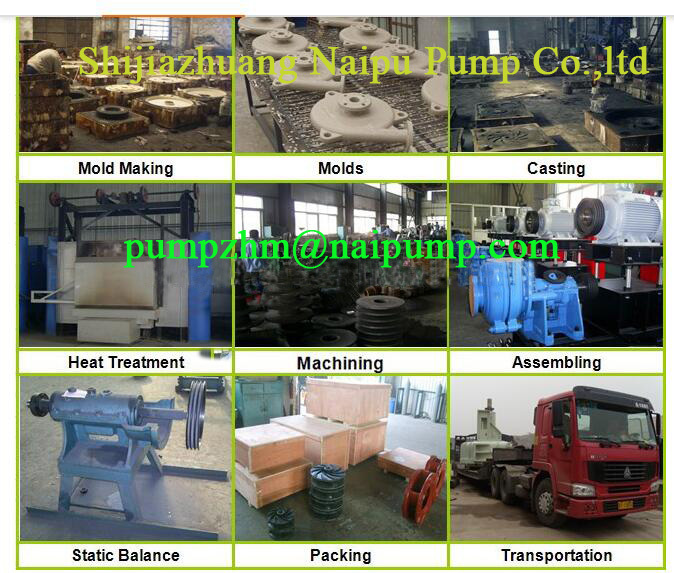 Pump sheel,pump barrel,casing of pump, pump casing, frame plate,etc. 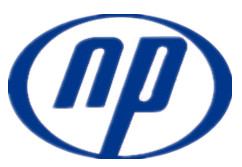 Shijiazhuang Naipu is a professional manufacturer of pump casing in China.We offer a wide range of products, including Froth Pump,Mining Slurry Pump,corrossion resistant slurry pump,gravel and Sand Pump, Vertical Slurry Pump and related Slurry Pump Parts, such as slurry pump impellers,slurry pump throat bush, slurry pump casing, slurry pump cover plate liner,slurry pump shafts,slurry pump shafts sleeve, and some OEM Orders. 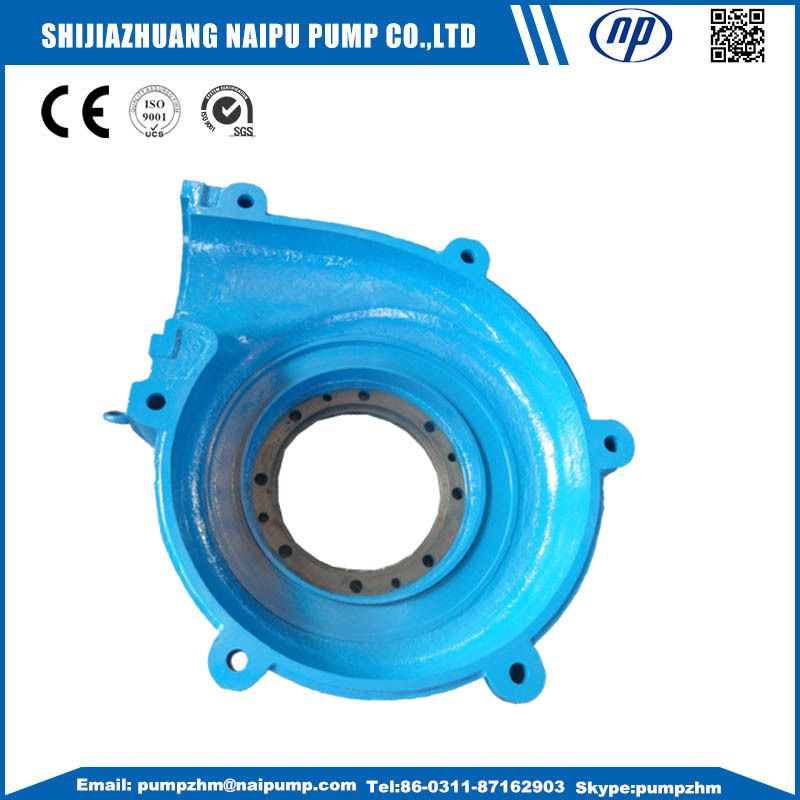 Looking for ideal 65QV-SP Slurry Pump Casing Manufacturer & supplier ? We have a wide selection at great prices to help you get creative. All the 65QV-SP Slurry Pump Frame Plate are quality guaranteed. We are China Origin Factory of 65QV-SP Slurry Pump Cover Plate. If you have any question, please feel free to contact us.